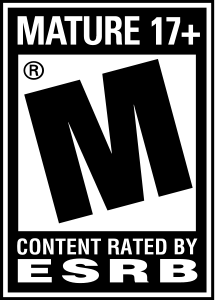 Video Game Rating T-M: What does it mean? I don’t allow video games with an ESRB rating of M into my home. No thanks. I as an adult generally choose not expose myself to such things. Why would I allow my 12-, 10- and 7-year-olds such exposure? Recently a friend of Cool Breeze wanted him to get a video game with a rating of T-M. He knows my rule, but he brought this “T-M” game to the house to play. “Oh, you can adjust the settings to make it one or the other,” friend said. It didn’t sound right to me. This entry was posted in gaming and tagged Entertainment Software Rating Board, Federal Trade Commission, Games, Patricia Vance, Video game, Video game content rating system, Video game industry, Video game packaging. Bookmark the permalink. 2 Responses to Video Game Rating T-M: What does it mean?